This homemade hair mask recipe made from bananas and olive oil soothes hair damaged from chemical processing, hair tools and sun exposure. Anyone who has had a chemical processing done to their hair (think perms, hair straightening or hair coloring) may have damaged hair that need protecting. The same goes for women who frequently use hair tools (flat irons, curling irons or blow dryers). 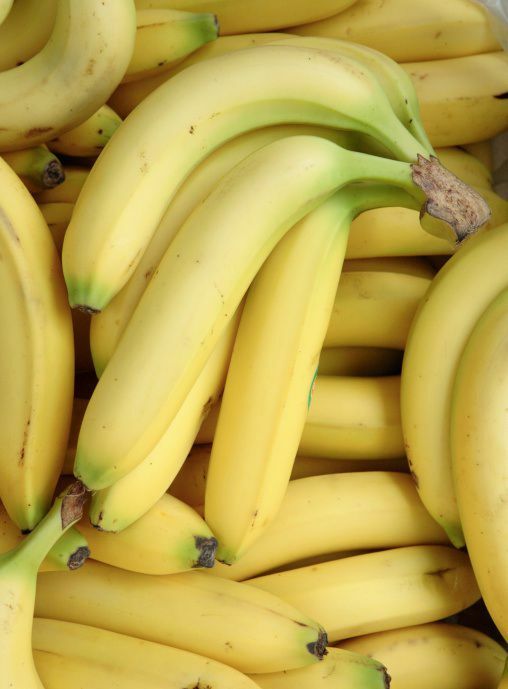 Bananas are rich in tryptophan, an essential amino acid that can help strengthen hair, and potassium, a mineral which helps hair maintain a healthy pH balance. What I love most about this hair mask is that it includes ingredients many of us have in our homes. No need to order any items off of Amazon or head out to the local health food store. Keep in mind you can keep bananas in the freezer to use for your weekly hair masks. Put ingredients in a blender and blend until combined into a paste. Add a dash of flour if paste is too runny. Separate hair into 3-5 sections. Apply mask to each section from roots to ends. Wind hair into a loose bun if long and place a shower cap over hair. Keep it on for 30 minutes and then rinse out, shampooing and conditioning as usual.